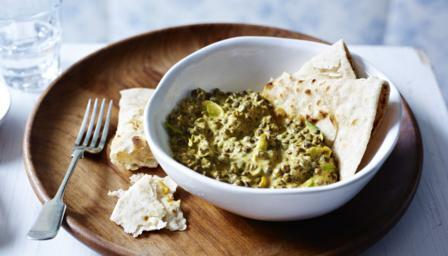 This tasty vegetarian curry is on the table in 15 minutes, perfect for a speedy weekday summer. Heat the olive oil in a frying pan over a medium heat. Add the onions and garlic and fry for two minutes, until soft. Add the spices and cook through for two more minutes. Add the tomato purée, lentils, and vegetable stock. Bring to the boil, then reduce the heat to simmer for five minutes. Add the cream and season with salt and freshly ground black pepper.